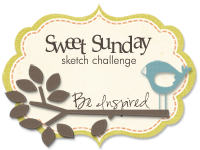 Tonight, I'm giving you another look at the Blueprints 6 Die-namics along with MFT's fabulous sketch sheet that you can find in this post, right here. 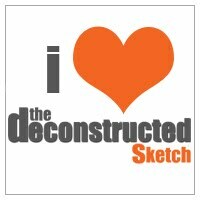 I made 4 card for tonight - one for each layout on the Blueprints 6 sketch sheet. Grab a drink and maybe a snack and sit back and relax. All of my cards here use the same color combo - Berrylicious, Steel Blue, Grapesicle, and Fuse Green. 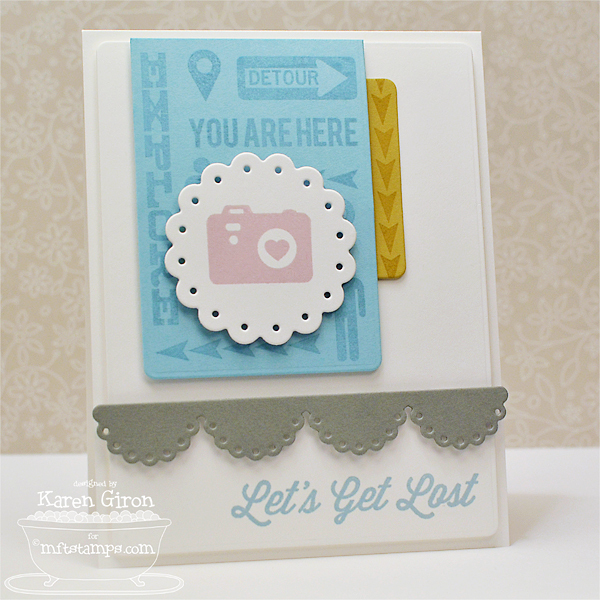 First up tonight is a card using LLD Document It - Enjoy the Journey. I used various images and sayings from the set to create my own background on the Berrylicious Card Stock panel and then popped up the scallop over the top. 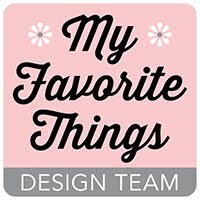 My next card features Sending Thanks, this month's Free with $60 stamp set. FREE! Can't beat that! 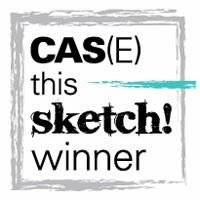 I cut out the tag in Smooth White Card Stock and then stamped the sending thanks circle in Steel Blue Ink and the wavy lines in Grapesicle Ink. 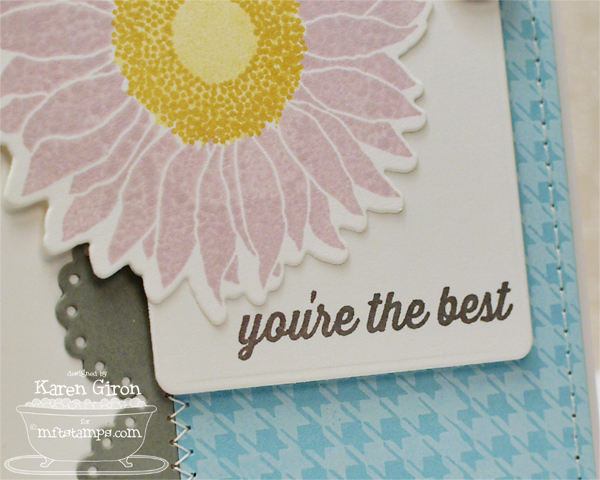 I used MPD Collage Backgrounds to stamp the text in the background on Steel Blue Card Stock. 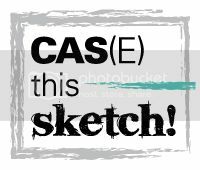 Did you know that each of the backgrounds in Collage Backgrounds fit this rectangle die from Blueprints 6 Die-namics perfectly?? 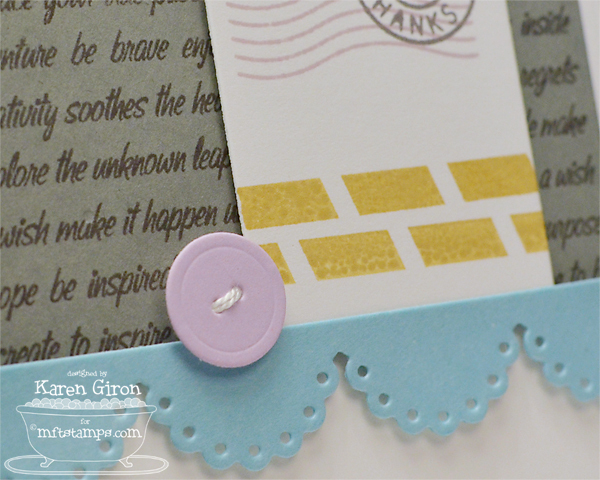 I cut out the little button in Grapesicle Card Stock - love that embossed detail! Next up is this delightful number using LJD Grand Greetings and my new favorite background stamp set, Plaid Builder Background. I stamped the plaid background in Berrylicious and Fuse Green Ink and then stamped the sentiment on Smooth White Card Stock with Steel Blue Ink. I added a Grapesicle stripe with another stamp from Plaid Builder Background. 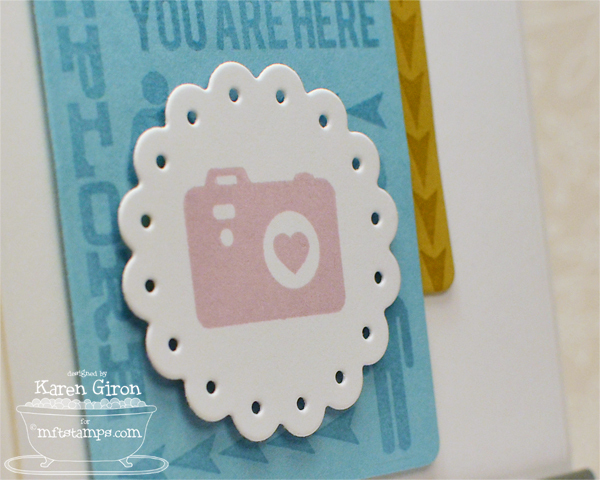 I cut out the rounded tab in Berrylicious Card Stock and added the little button bow over the top. And last, but not least, I have a card showing off Lisa Johnson's beautiful set, Splendid Sunflower. 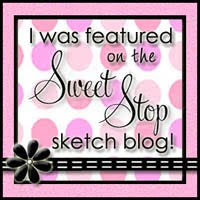 I stamped the background in Sweet Tooth Pigment Ink with a LJD Spring Backgrounds stamp. 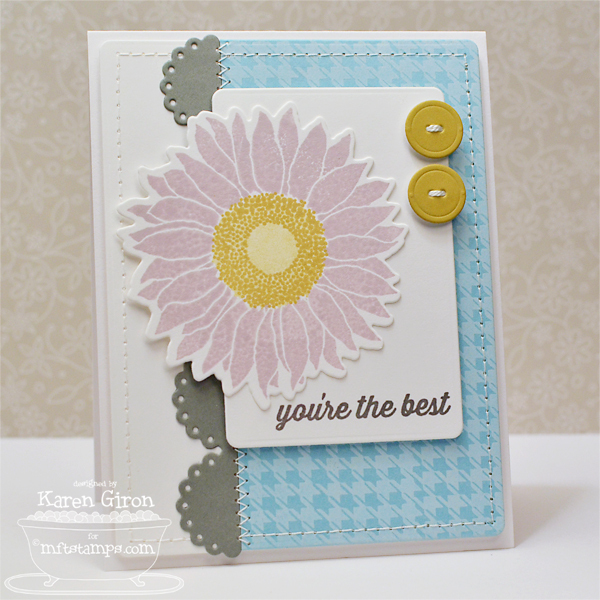 The flower is cut out with the coordinating LJD Splendid Sunflower Die-namics in Smooth White Card Stock. I stamped the petals in Grapesicle Ink and then stamped the solid center with Fuse Green (stamping off first) and then the accent stamp again in Fuse Green Ink. I added a sentiment from Sending Thanks in Steel Blue Ink. Fun! My favorite is the one with the plaid. That is such a cool set! I love Blueprints 6. I can't wait to use them!! You ROCKED the Blueprints 6 and I'm in love with this colour combo! 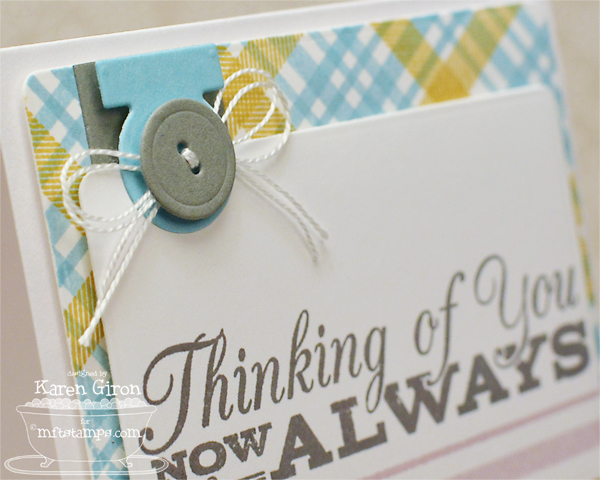 What a beautiful set of cards you've made with the Blueprints 6 Die-namics! Love that fabulous color combo...so going to try that! I just love your style Karen. What a great color combo! 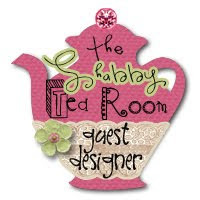 Great projects..what a fabulous way to finish this release! These are all so cute. I especially love the third one. That plaid is sooo pretty!